Hi, I'm a UX Designer with the background of Cognitive Science - Human Computer Interaction based out of Tokyo. Currently I'm leading the revamp of the main travel service platform Compathy ( Wanderlust Inc. ), which drives over 100,000 monthly active users. Most recently I was practicing Service Design at Designit Tokyo, while teaching User Experience Design/Research at Canopy Online Studio, which accumulated over 6,000 students worldwide in various design domains. I believe social innovation and community are the core to many great experiences out there. I'm currently working on connecting designers working in/with startups in Tokyo. Please check out more at Wander Design. Service Design at Designit Tokyo. Local art studios in Tokyo empowering people with Down syndromes to art making made me thought of building community with spirit. 06/15/2014 Walked UCSD 14' Ceremony with my fellow friends. November, 2013. Visited IDEO, SF with User Experience San Diego (UXSD). Worked with F# Music Advertising on metrics platform design. 08/14/2014. 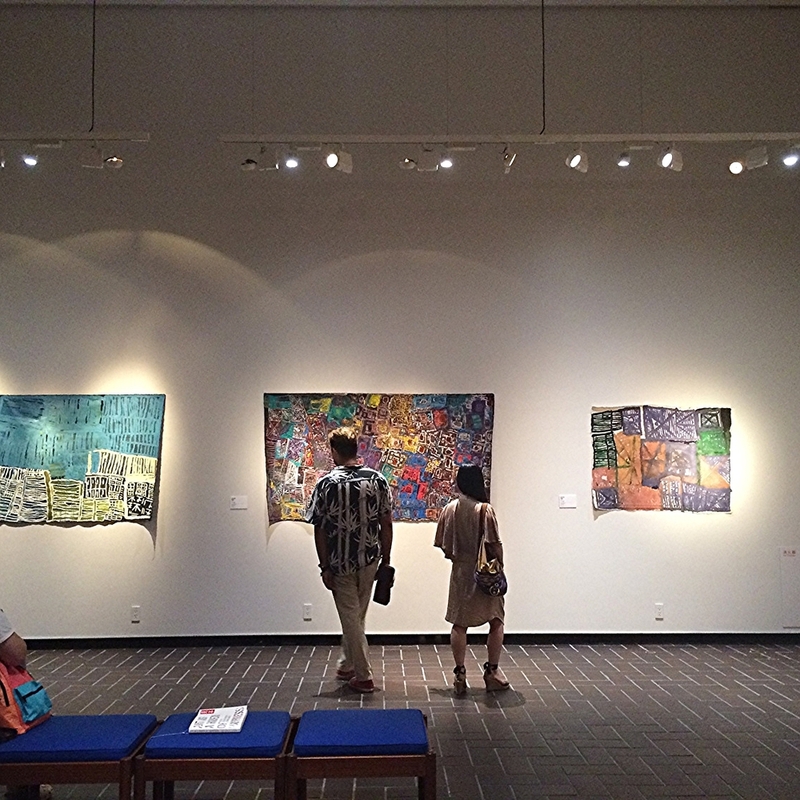 Art as a Haven of Happiness at Tokyo Metropolitan Art Museum. Team Se7en. Worked on students' eating expriences and shared great insights on the birth of Grab Grubber. Beijing Design Week. 09, 2013. Team CCK collaboration with Thrdplace x General Assembly on building a user-to-user platform that formulates communication in volunteering events. 10/31/2014. Being the first person who cosplayed Ida from the awesome Monument Valley. SoCal UX Camp. Got many inspirations on group communication, and mobile design. .
Showcasing the first individual project at Whova as the only designer on board. 07/02/2014. Joined the Product Team of Zhihu as a product design & research intern. First design notebook ( bought in Design Museum, London) completed on May, 2014. The one I used daily to capture experiences, inspirations and random thoughts.